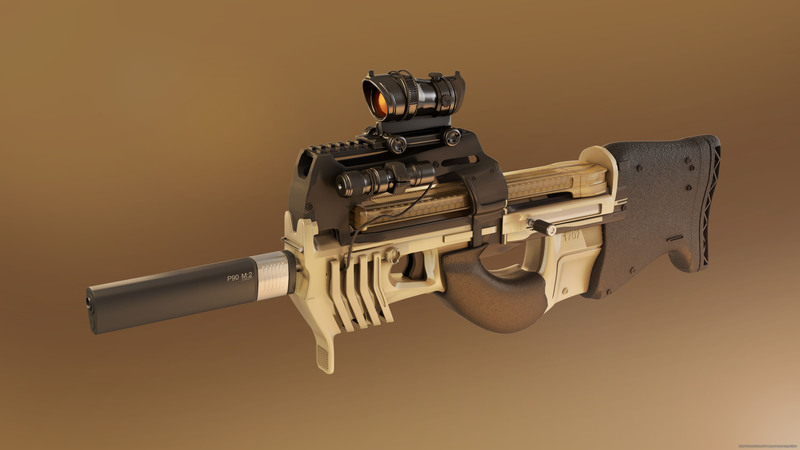 P90M2 concept: the SMG with a kick of eye candy. I wanted to keep some realism but with an edgy style to the weapon. Simple and sharp was my key aim with a good helping of detail.